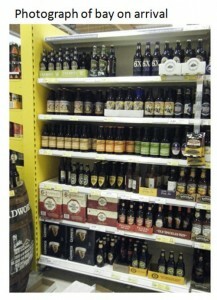 Merchandising Beers, Wines and Spirits fixture in 500 Tesco stores. 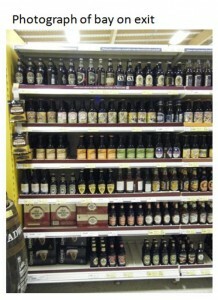 Install risers and presenters in the Beers, Wines and Spirits section across 500 Tesco stores throughout the UK. A total of 81 field associates were selected to work on this project based on previous experience, which were then put into teams. Each team were required to phone the BWS Manager or General Manager and arrange a suitable day for the team to begin the merchandising. On arrival to store, our teams signed in and located the presenters and risers in the warehouse and brought them to the shop floor. The presenters and risers were installed and shelves were replenished as per the planogram. Due to the merchandising involved, the teams were required to visit each store after 8pm Monday-Saturday and after 3.30pm on Sundays to minimise interruption in-store. Our dedicated teams were able to merchandise the BWS section across all outlets within the timescales provided by the client.